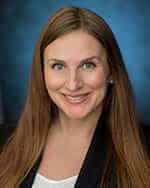 Natalia Ivolgina is an associate lawyer at Pacific Medical Law. Natalia obtained her law degree from the University of Alberta, was called to the Alberta bar in 2010, and admitted to the bar of British Columbia in 2011. Natalia’s practice focuses on representing individuals who have suffered injuries as a result of medical malpractice. Natalia brings with her experience in medical malpractice defence, in representing individuals who lost family members in fatal accidents, and individuals who were severely injured in motor vehicle accidents. Natalia also has experience defending civil litigation lawsuits enabling her to be a more effective plaintiff’s counsel. Prior to pursuing a career in law, Natalia utilized her psychology degree to work with children with special needs and their families to improve the functional abilities of those children. Natalia also assisted speech-language pathologists in their work with adult stroke survivors who suffered communication disorders, with particular emphasis on improving the cognitive abilities of those adults and strengthening their newly acquired skills to enable them to adapt to their unique speech challenges and succeed in communicating with others. For several years Natalia also volunteered with women undergoing treatment for breast cancer. It was the culmination of this experience that led Natalia to focus her legal career on being a strong advocate for individuals injured as a result of medical negligence.